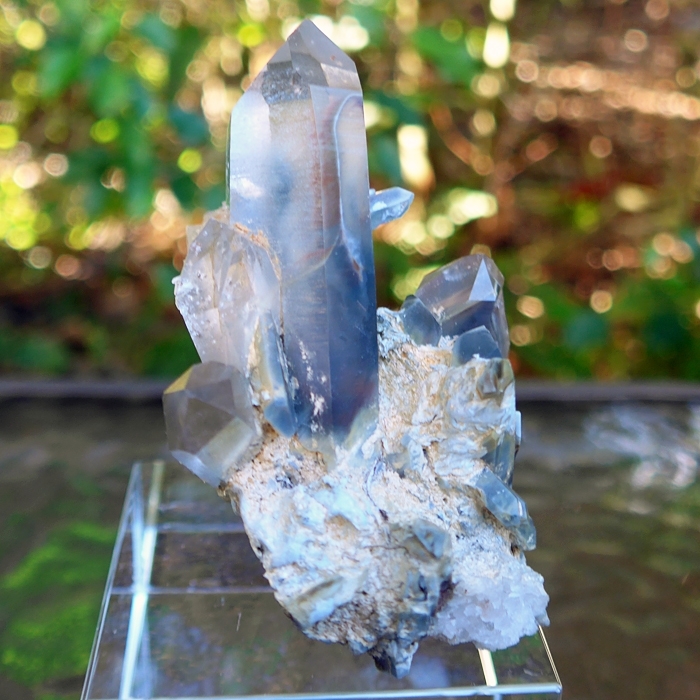 Dimensions (HxWxD): 3.25" x 2" x 1.25"
This exotic, rare 3.25 inch high Multi Point Actinolite Cluster with Bridge comes from Vitoria da Conquista, in Bahia, Brazil, exhibits a lovely bridge crystal, is still on its matrix and weighs 150 grams or 5.29 ounces. Look deep inside this beauty and just quietly meditate upon the feathery inclusions and icy looking background sparklies that create a zen-like landscape of ethereal beauty. Bridge crystals are crystals which partially penetrate and partially extrude from, larger crystal formations. Such crystals help the individual bridge the gap between self and others, reducing the illusion of separation. 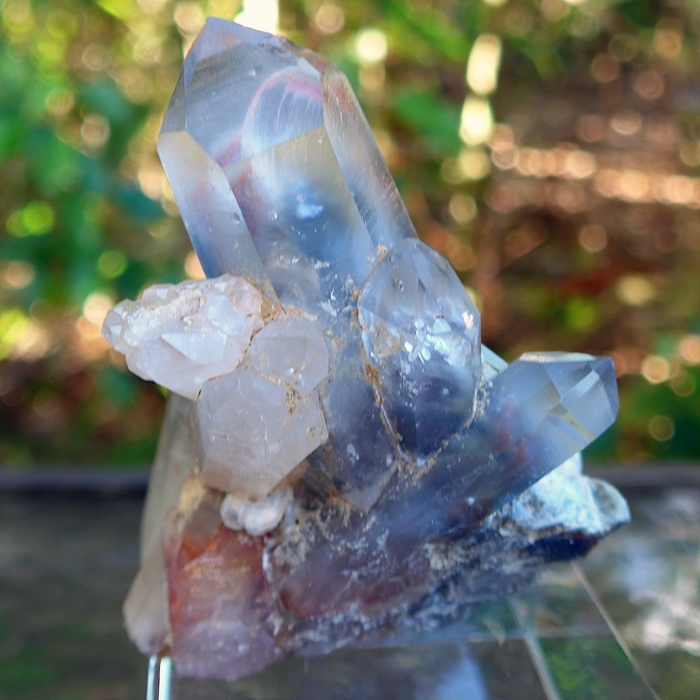 In addition bridge crystals help the individual traverse the abyss between the material and spiritual worlds. 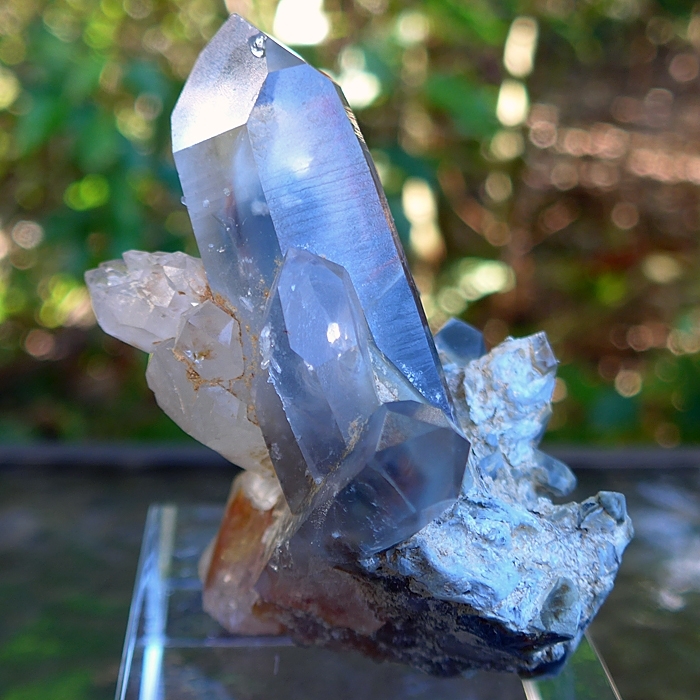 Use a bridge crystal to help you establish communication with Beings of Light inhabiting higher worlds, and to communicate with extraterrestrial intelligences of all kinds throughout the Universe. 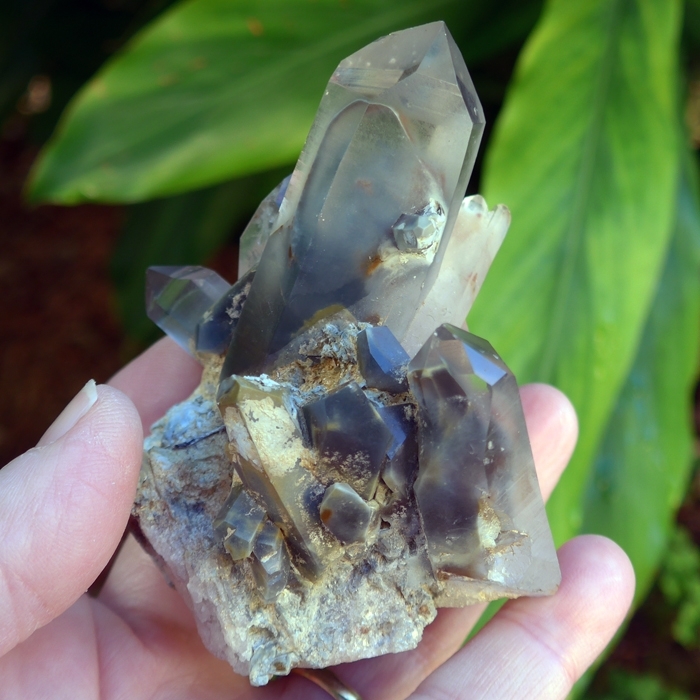 Extremely rare, translucent Actinolite Quartz contains formations of ochre coloured actinolite, a hydrous calcium magnesium iron silicate. 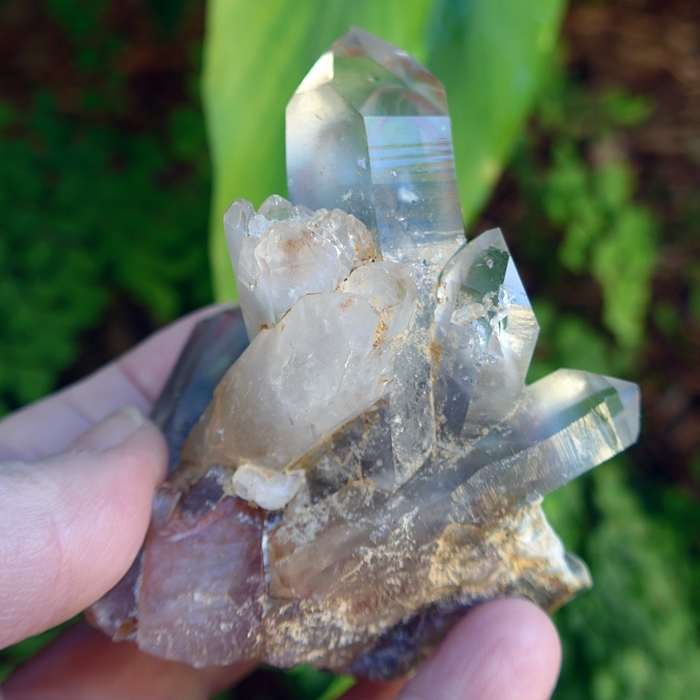 Actinolite based Actinolite Quartz soothes the soul, calms the mind, and relaxes the body. Actinolite Quartz strengthens, stimulates and harmonizes the individual’s etheric, astral and causal bodies, releasing fears in a comforting energetic space, and providing for deep healing of long-held emotional and mental blockages. Crystals grow deep in the earth and form much of the earth’s crust, yet crystals, like the element air, allow light to pass through them. Thus crystals partake of the qualities of the elements of air and earth. Crystals are fiery in that they have piezoelectric properties yet they are watery in their hexagonal molecular structure which resembles snowflakes, and in their ice-like appearance. Crystals are quintessential expressions of the element of Ether or Spirit, which is synonymous with Universal Life Force Energy, the fundamental energy that sustains all forms of energy in the known universe. Thus crystals partake of the qualities of all five elements and thus crystals manifest the unity that underlies the apparent multiplicity of material creation, the unity of both material and spiritual worlds. Note: Above weight is shipping weight. Net Weight 5.29 ounces or 150 grams.